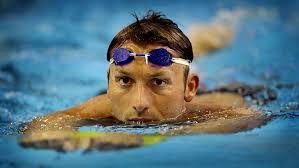 It has been widely reported over the last week, that Ian Thorpe isn’t in a good place. Naturally a select portion of the media in this country see an Olympian “falling from grace” as they describe it and pounce on the opportunity to report. Here’s why I feel for Thorpe and we need to let him take the required steps back to full health. A lifetime ago I used to swim. Of course it wasn’t literally a lifetime ago, but it has just ticked over seven years since I last raced competitively and that’s what it feels like. I was fortunate in my swimming career (I still am fortunate, but for the purpose of this post I’ll keep the fortune focused on swimming). My parents made sure I could travel to meets anywhere, they drove me to the pool and 5.30am and picked me up at 6pm the same night, often without going home from work beforehand. They had longer days than I did with a mortgage to pay and kids to feed and educate, while my two focuses in life were swimming and completing school- often in that order. Swimming taught me a lot. It taught me what drive can do, it taught me how growing up around people who are now World Record holders can change you as a person and it taught me that anything is possible. But there is one thing that I learnt from swimming that people don’t tell you before you walk in for your first training session as a kid. Swimming is lonely. You don’t train by yourself, in fact you form a great bond with the group that you train with. You might race by yourself, but you are always going to be part of a team. The thing about spending 20-30 hours a week in a pool is that you have a lot of time to think. You focus on the mechanics, you focus on everything that you need to be doing in the pool, but there will come a point where your mind starts to wander. School, friends, sports teams you supported, social life – anything was good to think about because you needed to find a way to pass the time. What we are seeing with Thorpe now is a result of that process. For the better part of a decade he was in the pool or gym for the majority of time when he wasn’t sleeping. Add to that the fact that the national spotlight shone on him whenever the time came for Australia to compete at home or overseas and you can see why he has fallen to the depths that he has. It’s easy enough to say that athletes need to adjust when they return to being a “normal” member of society, but I find it strange the amount of people commenting on that who have never been in that situation before. Many who know me don’t know that I used to swim. That in itself is a fair sign that swimming is something you can only see elements of from me. I could have been a Paralympian had a made a few different decisions in my life, but I didn’t and on the days when I think about it for a few seconds too long, I regret how things turned out, even though that might mean that I wouldn’t have everything I have today. At the end of the day the inside of the mind is a place we can never see, so let’s just all hope that Thorpe can get the help that he needs so we can see him return to being the vibrant person we saw on pool deck. This entry was posted in Published on xavierplayer.com, Written and tagged Ian Thorpe, Mental Health, Swimming. Bookmark the permalink.